This stunner from Midalu isn’t for the weak-hearted. 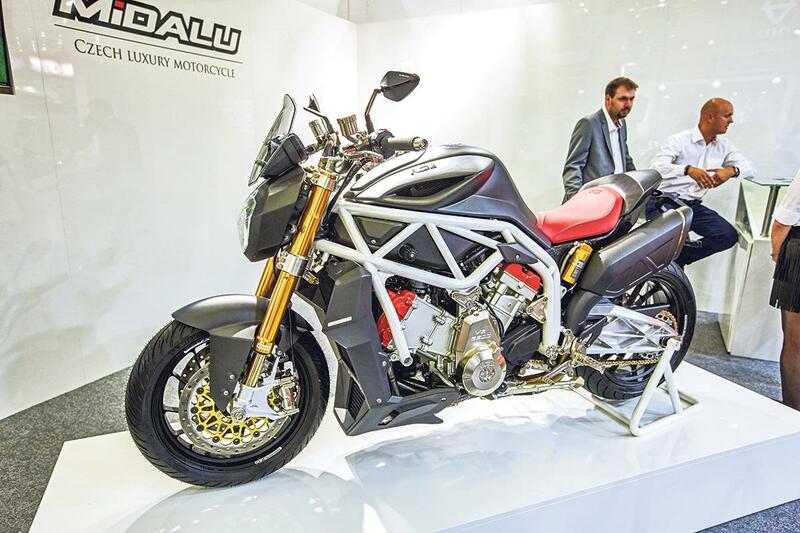 Not only does its 2.5-litre V6 engine make 200bhp, the bike also costs a massive 120,000 Euros! “This bike has been 11 years in development as we are only a small family company,” explains Midalu boss Lubos Felgr. “We have made everything on the bike – frame, swingarm, even the engine. This is the first completed bike and we are now taking orders.” The bike really is a staggering piece of engineering, but the price tag is also quite eye watering.